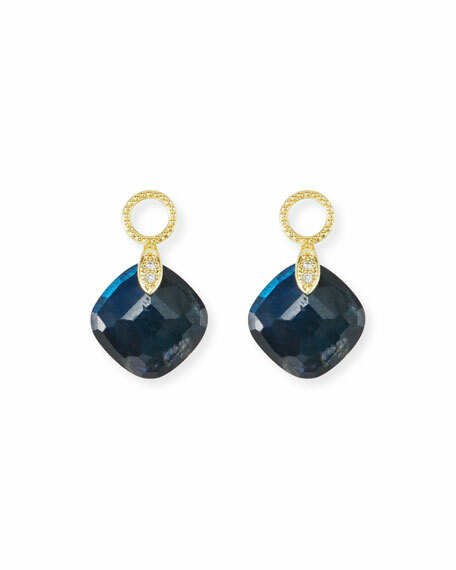 Jude Frances earring charms from the Lisse Collection. 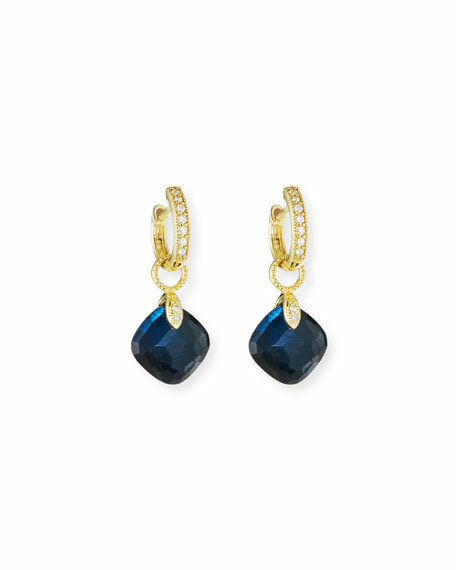 Blue labradorite and onyx doublet cushion drops. Small round, white diamond accents. Approx. 0.4" x 0.7" (11mm x 17mm). For in-store inquiries, use sku #2546436.